I love reading and watching mysteries. There’s a certain sense of satisfaction involved when a tangled web is unraveled, and especially if you can figure it out before the detective you’re following. But what would be really satisfying is to follow your own leads, to track down your own sources, to find your own clues, to sift your own information, to catch the bad guys on your own. Some of the components in Dispatch. These really are top-notch. I’ve mentioned before that I love the new tabletop escape room trend, mainly because it provides a socially acceptable means to spend time solving puzzles. It used to be weird that my wife and I would sit at a coffee house and cooperatively complete crossword or logic puzzles. Now we’re part of a hip new trend. 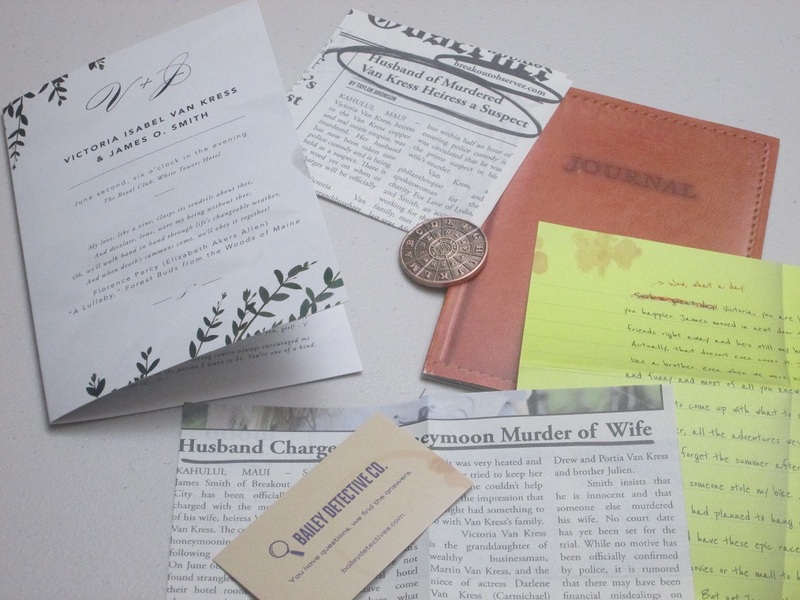 Dispatch takes this trend of tabletop escape rooms and combines it with another recent trend, the monthly subscription box, to make something new: a serial mystery story with escape-room puzzle solving. And it mostly works. 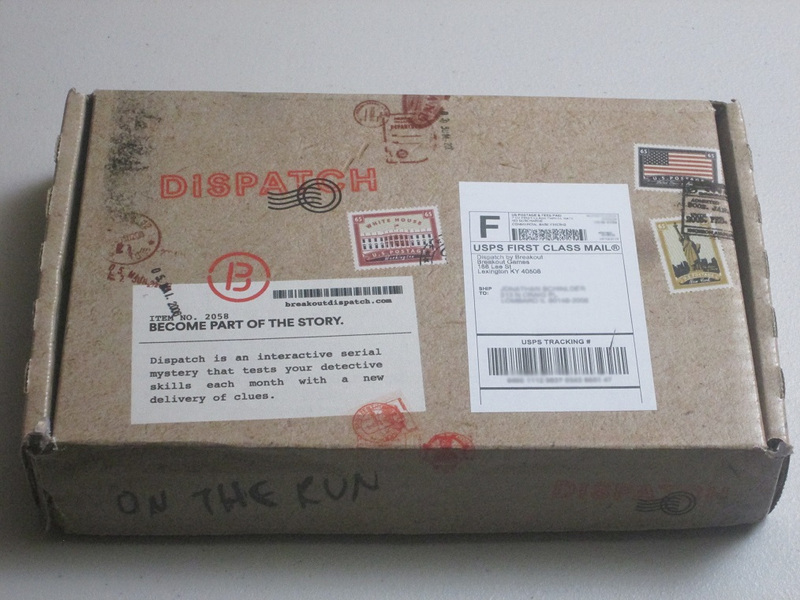 Note: This review is based on the first two boxes of Dispatch: On the Run. 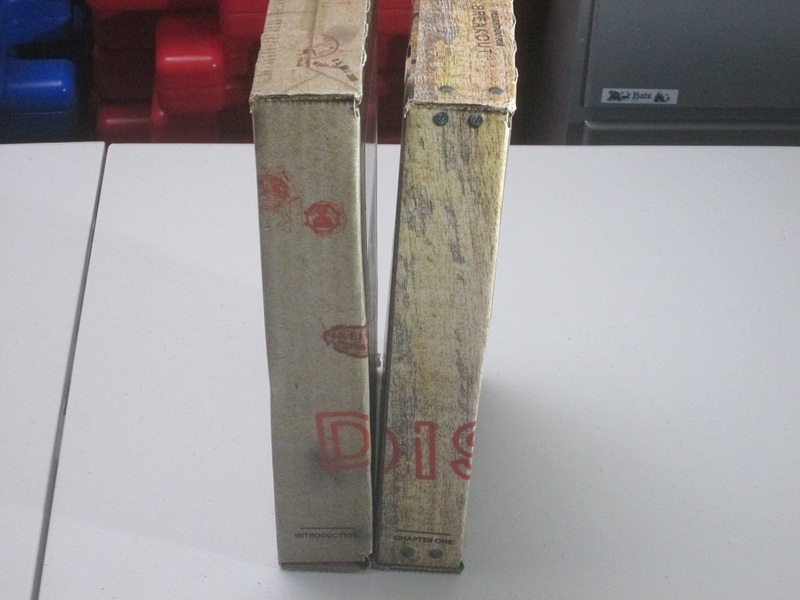 The Dispatch website says that “each story lasts for less than a year before a new story begins,” and the cards in these two boxes indicate that this mystery involves seven boxes, so the story may evolve in ways that this review doesn’t cover, and some praise or criticism reflected in this review may not apply to later boxes. Each box is a delight to open. What’s inside, I wonder? When we received the first box of On the Run, my wife and I were giddy to see what was inside, and we weren’t disappointed. There were several newspaper clippings, magazine covers, cards, papers, and even a “scribbled on” napkin. The component quality is quite good for what this is, and it works for immersing you in the story. It’s hard to oversell just how cool it is to have a mystery sent to you in the mail and to peruse the components with expectation. Dispatch does several things right. For starters, the included pieces in the box are just the starting point, and they’re a believable starting point. The newspaper clippings feel like newspaper clippings, and while they aren’t exactly written in journalistic prose (inverted pyramid, active sentences, sans editorializing), they get the gist across. 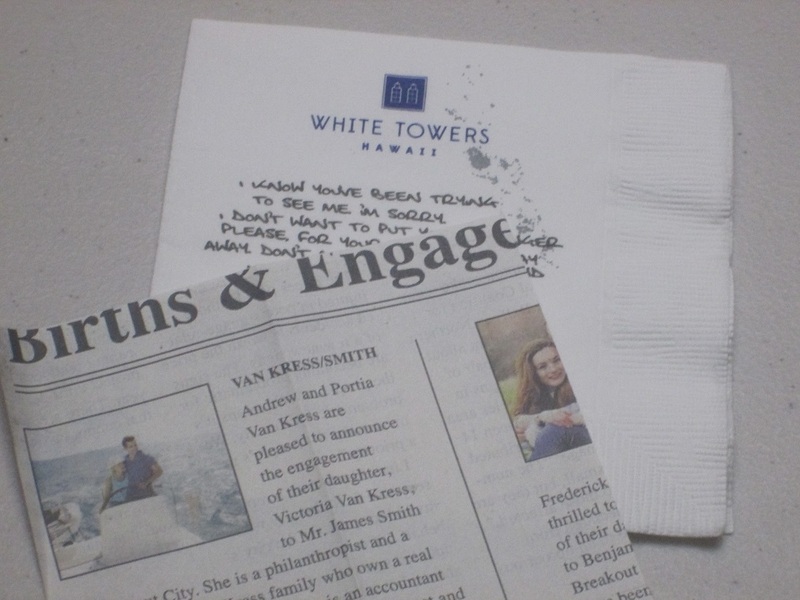 The napkin and other items, while printed, show different handwriting depending on the character who has written them. The first box is full of things to explore, and the exploration doesn’t end in the box. There are clues to follow online as well, including websites, Twitter and Instagram accounts, and more. You need to verify facts online, and there’s even an online news database that gives backstory on the characters in the mystery. The newspaper clippings look genuine, as do most of the other pieces (including this napkin). We took the introductory box slowly as we marinated in the mystery, and I think that’s how the first box is intended to be used. We followed every lead, we lingered over details, we read through the entirety of the included journal and much of the online database. The introductory box took us around three and a half hours to complete between exploring the story and solving the box’s primary puzzle, but at the end of it, we didn’t find it very satisfying. For starters, one of the fun aspects of escape rooms is their cooperative nature–multiple people poring over the same puzzle and working together to find a solution. In the introductory box, at least, there wasn’t much “puzzle,” more a lot of exposition, and the result probably looked to any outsider like a night where we both lacked energy to engage: with both of us on the Internet, scrolling on our tablets, getting lost in digital rabbit hole after digital rabbit hole. There was one major “puzzle” in the introduction, and while that took us a while to solve, by the time we had solved it, we were ready to be done. At the end of it, my wife said it felt like we were both doing our own thing for most of the time, and while we did share information we discovered back and forth, I didn’t disagree with her assessment. So despite the interest of being immersed in a mystery, we weren’t sure about Dispatch from the introductory box. The next box, however, mostly changed our minds. This box included more newspaper clippings along with a hefty decoder coin and several other intriguing items. Right from the beginning, we were off to solve the puzzles, and while they were still a little solitary–there wasn’t a lot either of us could do to help the other person–they involved more engaging, “real-world” work than simply reading information on screens. 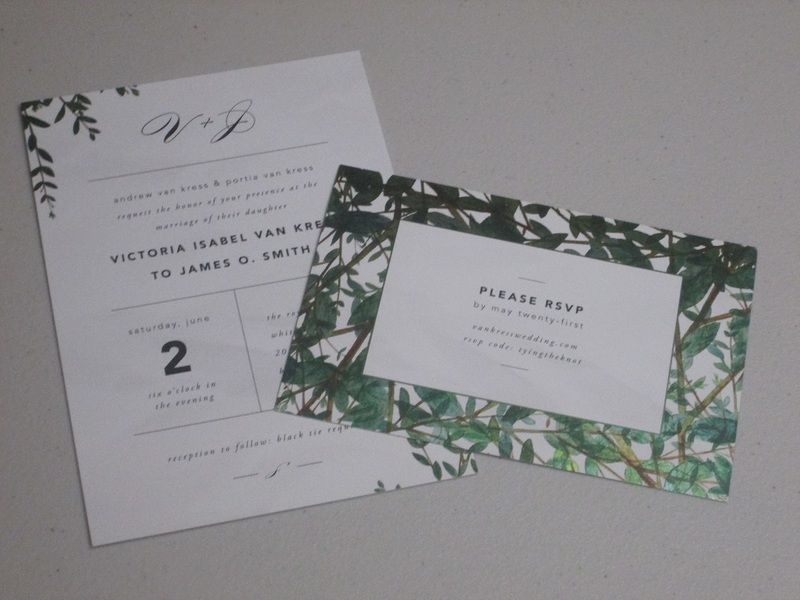 (Here the online piece was better integrated with the physical components.) We successfully completed the box in just north of an hour, and we were both left with a feeling of energy, ready for the next box. It’s hard to write a review of the Dispatch experience seeing only a snapshot–do things change? is the experience more like the first box or the second?–but I’m left with a few overall impressions. As I said at the start, I think Dispatch mostly works. 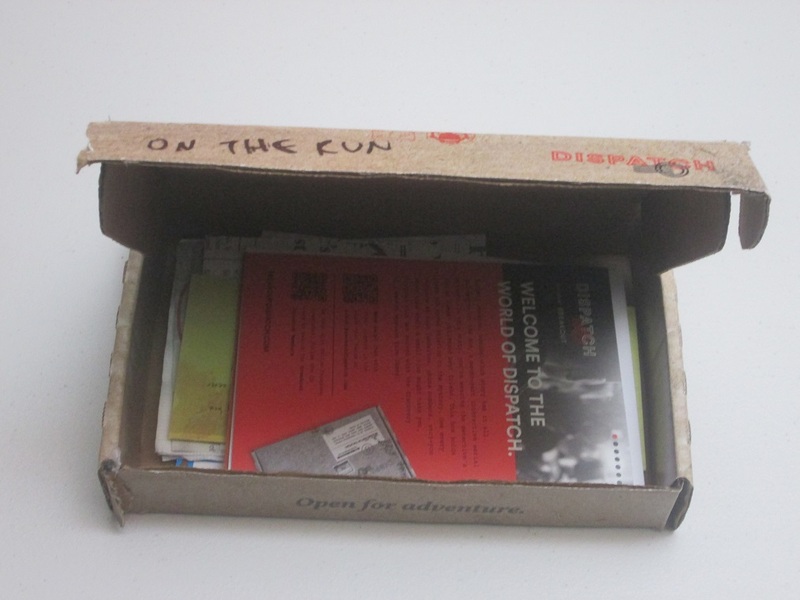 The items included in the boxes are well chosen, and the introductory card in each box should help novice escapers find their footing quickly. Beyond this, the game includes a help system to keep the box moving if you run into trouble–there’s a dedicated Dispatch Slack channel (which I looked at), and it seems to be fairly active. If you get really stuck, you can also send a message to the Bailey Detective Agency, and they’ll respond with hints tailored to your specific questions. Neither of these necessarily offers immediate assistance in your time of need, but the system works well enough, and really, you have a month to solve the box before the next one arrives. I really liked the combination of Internet and printed resources in concept and mostly in practice. It was fun to verify facts online and also to discover websites or new information about characters in the mystery. And because of these elements, the story felt immersive, like it was happening everywhere if only we had the eyes to see. The game isn’t self-contained, which is probably Dispatch’s greatest strength. Of course, the game’s not being self-contained is also Dispatch’s weakness. As I mentioned earlier, in the introductory box, it felt like my wife and I were playing in parallel because of the great wealth of information online, and when we were stuck, we kept moving farther and farther afield in search of clues. When the Internet is your scope, it can be hard to narrow your focus. The seven boxes, I imagine, will look good on a shelf together. Here, at least, are the first two. Also, while the promotional video for Dispatch shows five friends solving a Dispatch box as a group and mentions gathering friends and family members to help, I can’t imagine doing these boxes with more than two people. In the second box especially, we solved the box completely in right around an hour, and while each of us had something to do for most of that time, the puzzles we were doing weren’t the kind that really work to be cooperatively solved. They were interesting and engaging…for one or two people. If we had had more people helping us, some of us would have been bored. This may be because we are now experienced in escape room-style puzzles, but it’s hard to imagine even beginners needing lots of heads around the table. I will agree with the promotional video that this is more engaging than watching TV, but I disagree with the statement that it’s better than a book. (Full disclosure: I’m a book editor, so I’m not likely to call many things better than a book.) For one thing, while the writing for the mystery is serviceable, it’s not particularly noteworthy, and in several instances it doesn’t seem realistic. Dispatch is at its best when it has a high degree of verisimilitude, when it seems like this story could actually be real. The website for one of the companies at the heart of the mystery is very good; it looks the way you would expect a corporate website to look. Some of the other writing is a little more…on the nose. It gives expository detail in a way that feels less like you are discovering something and more like you are following a preschool dog’s path of clues. (The charity website feels a bit like this.) This is not Sherlock Holmes: Consulting Detective, where the quality of the writing is itself part of the fun. Given the immense amount of information available, the “seams” in Dispatch are forgivable, but they do serve to remind you that you are in a story, not reality. Yet despite these drawbacks, my wife and I on the whole enjoyed our time with Dispatch. I asked her on a scale of 1 to 10 how eager she was to try the next box, and she said 7. I feel about the same. I think Dispatch is a cool idea that’s executed pretty well considering the constraints (size of feasible shipping box, cost of various websites, the amount of information included, and so on). The main consideration to address here is the price. Does the game repay the investment of $25 per box? I suspect your answer to this question will be based on a couple of different factors: 1) how you view your gaming experiences, and 2) how much disposable income you have to spend on those experiences. If you look at Dispatch in typical board game terms, it doesn’t seem like a good investment. Most of the games I play are around $50 each and can be played again and again and again. Even if I were only to play a game three times, that’s more “sessions” than three Dispatch boxes, and there’s the likelihood I’d be able to sell or trade the finished product. (I’m not sure how much permanent component alteration is involved in future Dispatch boxes; there was none that was necessary or hard to avoid in the first two.) But Dispatch is doing something different than the traditional tabletop games I typically review, and I’m not sure it’s best to think of it in those terms. Dispatch is more like a consumable experience–like a night at the movies or going miniature golfing or, yes, visiting an escape room. Compared to those forms of entertainment, Dispatch has a good “return” on your investment: you get an hour-plus worth of fun immersion in a story (while feeling clever following various clues), it’s more interactive than a movie, and you can do it from the comfort of your own home. (In other words, if you have kids, you don’t need to pay for a babysitter–a huge financial boon, indeed.) So if you go out with friends or loved ones once or several times a month, I don’t think it’s a bad sacrifice to trade one of those outings for a new box each month. I’d do that without thinking too much about it. However, for us, our usual “dates” are Netflix or board games at home, so $25 a month is more of a sacrifice than we’d be willing to make. Obviously, you know your situation, what you look for in gaming experiences, and how much margin you have in your budget. If you regularly go to escape rooms, this is a bargain. Dispatch is a fascinating direction to take escape rooms, offering a serial experience where discoveries and solutions build from month to month, and you also have the joy of anticipation (a new box comes each month!) and discovery (what are all these components?!). While the financial consideration will be a barrier for some, if you simply can’t get enough of escape rooms, enjoy doing them in small groups, and find the concept of a several-months-long immersive story intriguing, you are the person Dispatch was created for, and I don’t think you’ll be disappointed. 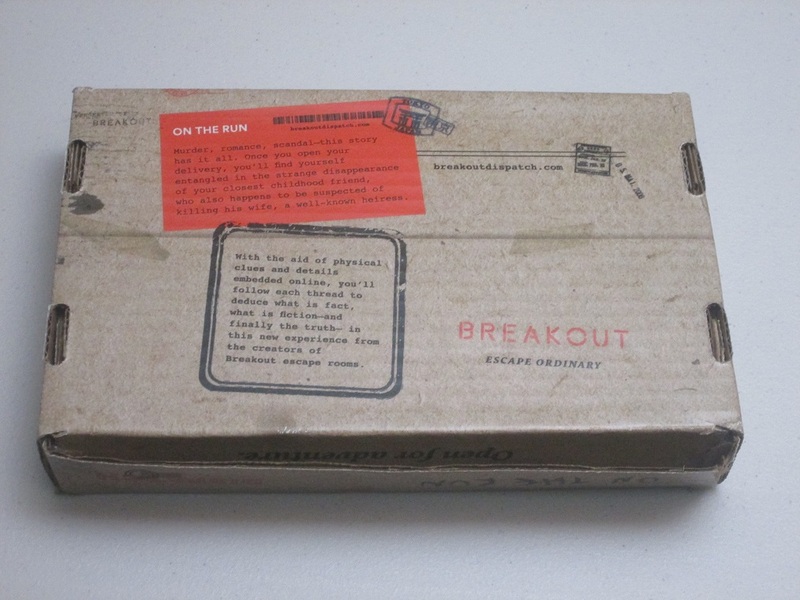 iSlaytheDragon would like to thank Breakout Games for providing us with a copy of boxes 1 & 2 of Dispatch: On the Run for review.